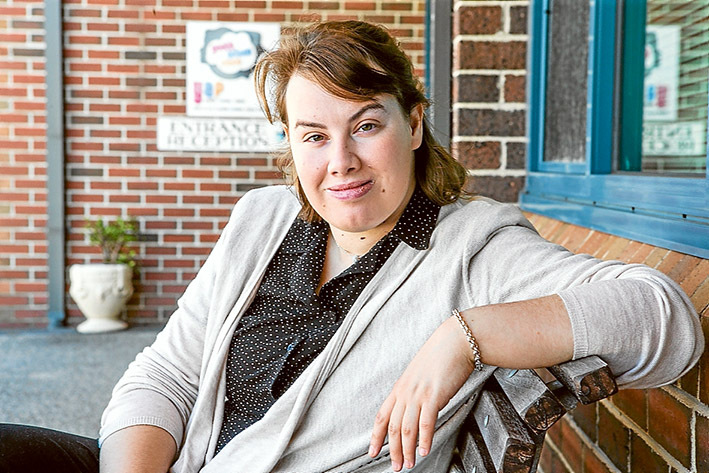 A CHAMPION effort by Longbeach PLACE teacher Carrie Ewin has seen the 25 year old receive an Outstanding Youth Volunteer award as part of this year’s Premier’s Volunteer Champions Awards. Ms Ewin has run the Chelsea Personal Computer Support Group at Longbeach PLACE to help seniors develop IT skills for the past seven years. The award caps a memorable year for the Chelsea Heights resident. In January she was named Young Citizen of the Year by Kingston Council. Fifty one Victorian volunteers were given awards at a ceremony held at Government House late last month. “I’m very excited and grateful to win this award. At the ceremony I had the chance to meet several other young volunteers and was amazed at the passion and dedication of Victorian volunteers,” Ms Ewin said. She thanked the Aspendale Gardens-Edithvale branch of Bendigo Bank, Kingston Council and State Trustees Australia for their ongoing support of Longbeach PLACE’s community programs. “We have created a dedicated seniors program to help older Victorians learn and love computers, iPads and technology. The program includes short workshops run in a warm, slow paced atmosphere focusing on useful skills such as meeting the computer and iPad, typing a letter, internet and email, connecting with services, online banking and shopping, Skype, FaceTime and Facebook amongst other topics. “The program also includes group presentations focusing on similar skills and offering a Q and A to help seniors have all their computer related questions answered. We make sure to have with games, prizes, competitions and lots of nibblies. We also have a Facebook group to ensure that seniors can get quick help and support and chat with other technological seniors. Premier Daniel Andrews congratulated the award recipients. “The latest figures show more than 1.5 million Victorians participate in formal volunteering. We simply couldn’t do without this enormous contribution to our communities,” he said in a statement. Ms Ewin’s award comes two months after her brother, Chris Ewin, was also recognised by the state government for his voluntary work in teaching IT skills to seniors (‘Honoured for empowering students’, The News 14/10/15).